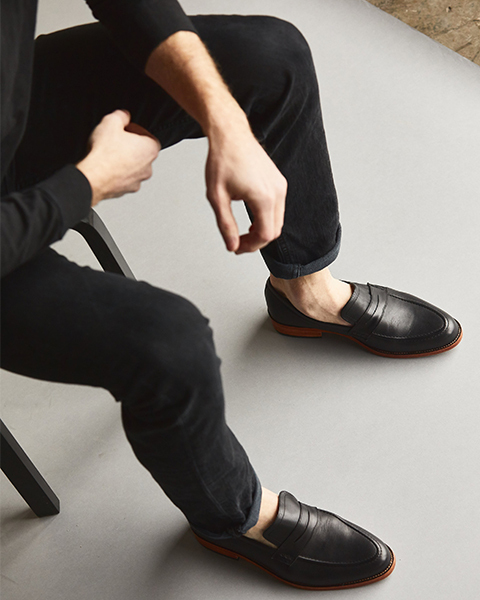 With a slim leather sole, the Chamberlain Penny is our modern version of the timeless, classic penny loafer. 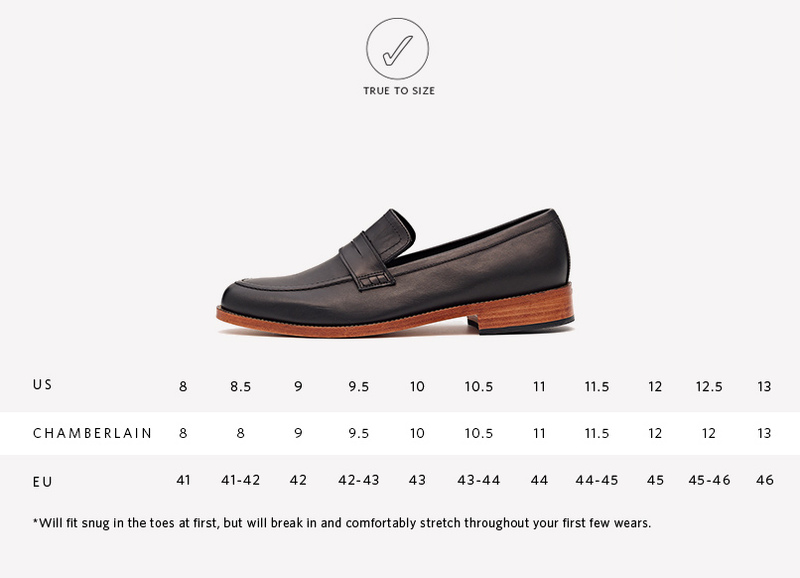 Featuring hand-cut, breathable leather and a cushioned insole, the Chamberlain will soon form to the shape of your foot. Whether your domain is mainly in coffee shops or corporate offices, we guarantee that in the Chamberlain you're sure to stand out in the best way possible.